I like Korean food. I like burgers. Therefore, I like Burger House! From the outside, Burger House looks like any other burger joint - no frills, seating available for a quick bite, but definitely nothing fancy. 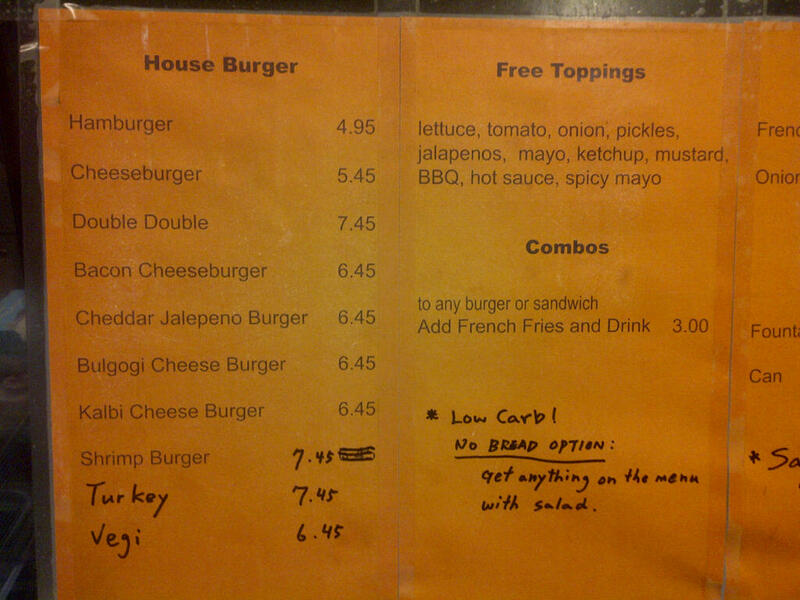 When you go in and take a look at the menu, however, you see that this place is not your average burger joint. 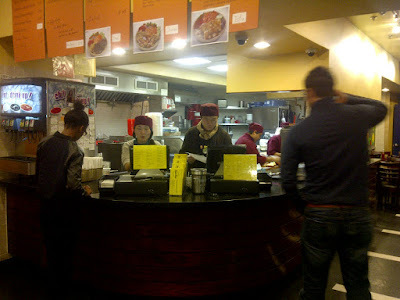 Burger House is Asian owned! And in addition to traditional burgers, they serve Asian fusion burgers including Bulgogi and Kalbi burgers!! 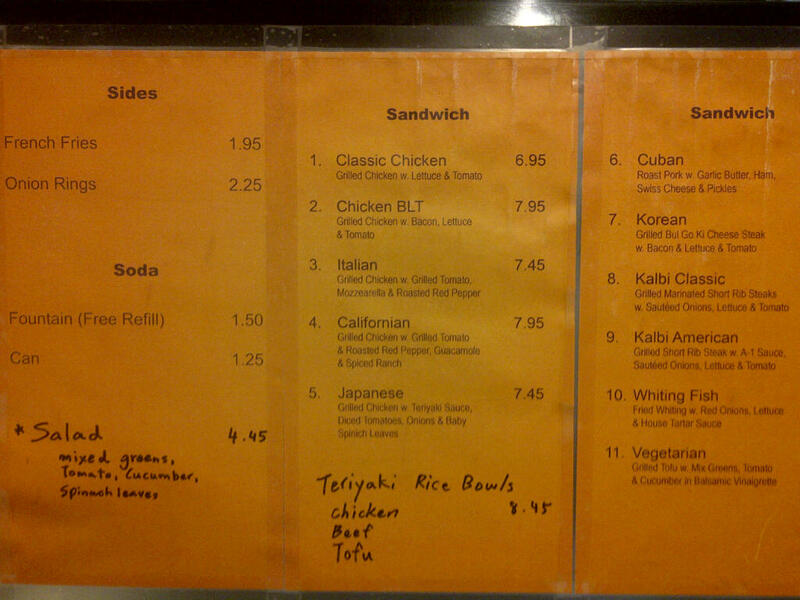 And if you are not interested in burgers, they have other sandwich, rice bowl, and salad options as well! After I managed to control my excitement, we couldn't pass up the chance to try the Bulgogi Cheese Burger and the Kalbi Cheese Burger. Each burger is made to order so you can also customize with how well you want your burger, different toppings (many of which are free - take a look at the list in my first menu pic above! ), and spiciness level (hot sauce? spicy mayo? both?). 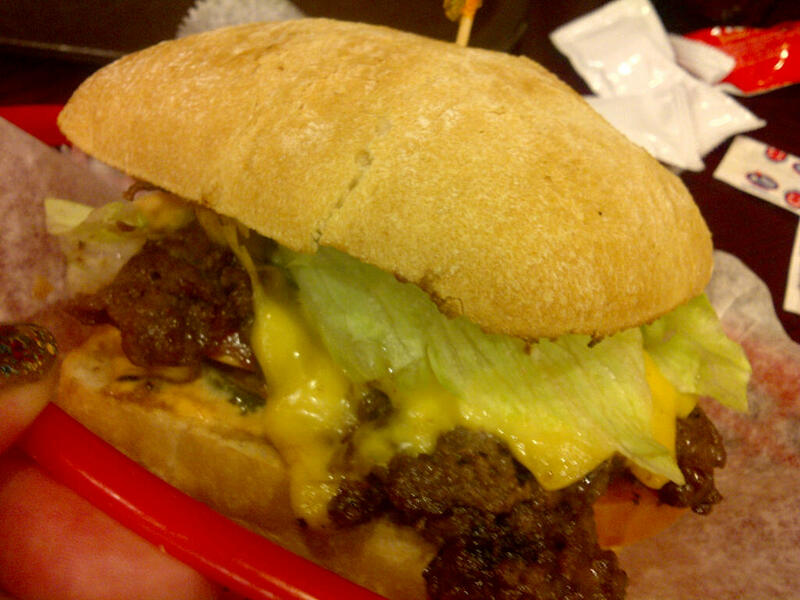 When our burgers came out, they were served fresh ciabatta bread! 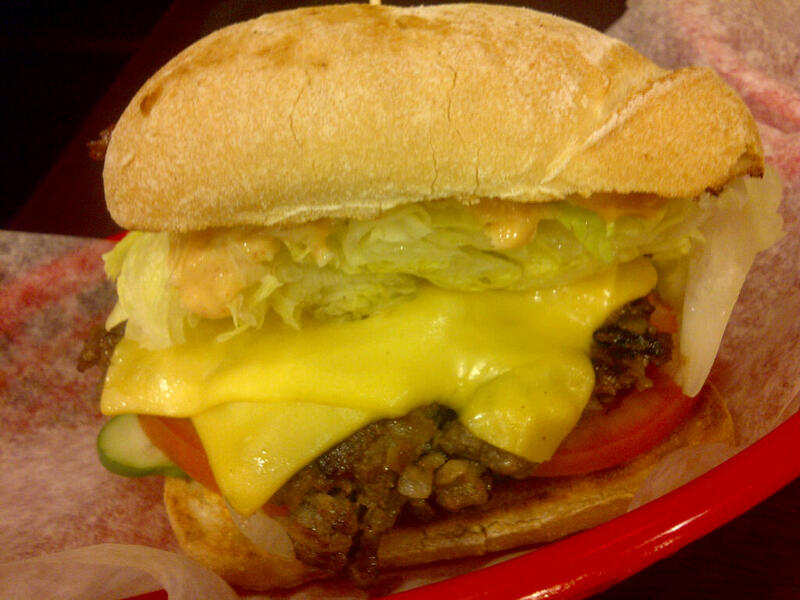 The shape of ciabatta bread means that your burger is definitely bigger than the Shake Shack burgers. Score! Plus, I loved the crustiness of the ciabatta on the outside and the softness on the inside which helped to absorb some of the juices. And yes - the patties were very juicy so watch out as you take a bite as it may get messy! 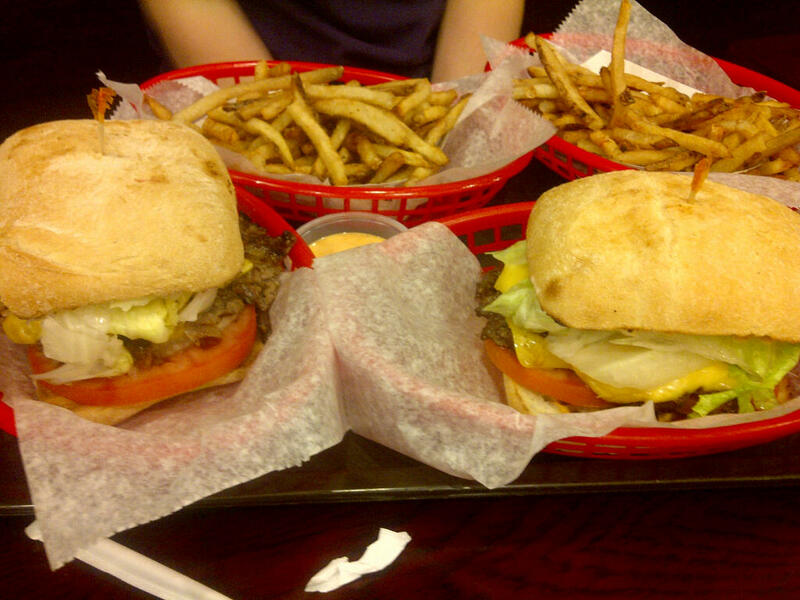 Both burgers were fresh and flavorful. The toppings excellent (and free) - especially the spicy mayo! Fries were also crispy and quickly disappeared into my belly. They even let me get an extra spicy mayo on the side to dip my fries in. Great combo! If you're looking for a new burger place, I encourage you to give Burger House a try. While it's definitely a bare bones shop, the customizable options and freshness of their burgers will be bringing me back! I can't wait to try everything else that they have on the menu!